It was a do-or-die game for both teams, and only the winner would advance to the playoffs. But Rytas Vilnius just dominated AS Monaco, opening the game with 17-2 run, leading 25-14 after 10 minutes, 46-29 at halftime and 72-53 at the end of the third quarter, keeping full control from start to finish. D.J. Seeley led the winners with 21 points. Art Parakhouski added 18 and 11 rebounds, and Rok Stipcevic had 11 points. Indeed, adding two experienced players – Stipcevic late in the regular season and Parakhouski before the start of the Top 16 – has turned Rytas into a new, improved, and very exciting team. By beating Monaco, Rytas earned its right to be one of the best eight teams in the 7DAYS EuroCup this season. It is nothing new for the Lithuanian powerhouse, however. This marks the sixth time that the club has reached this far in the competition. A two-time champion, Rytas went past the quarterfinals four times in five previous opportunities, as well. 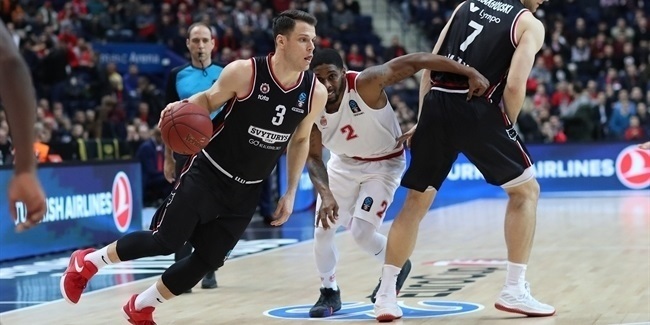 Rytas, however, has not gone this deep in the EuroCup since 2012, but now faces a new, different situation, never experienced by the club in this competition. 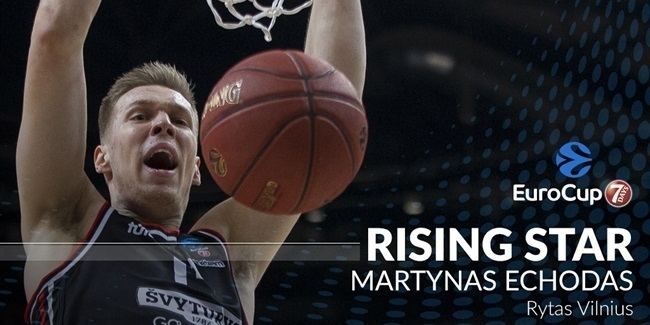 In its 11th season, after playing 161 games, Rytas will play its first best-of-three EuroCup Playoffs series ever. And it will do so against the most successful team in competition history, Valencia Basket, which owns three titles, one more than Rytas. Every time before that Rytas played the EuroCup Quarterfinals, it was in a non-playoffs format. The Lithuanian powerhouse played four two-way series in which aggregate score determined the winner. Rytas won three of those two-way series: against PAOK Thessaloniki in 2005 en route to its first EuroCup title, against Strasbourg in 2007, and against Donetsk in 2012. Only once did it lose such a series, against eventual champion Hapoel Migdal Jerusalem in 2004. It also played a single-game quarterfinal against Benetton Treviso in 2009, downing the Italian powerhouse 79-85 behind 23 points from 2008-09 EuroCup MVP Chuck Eidson. Rytas went all the way to the title from there, downing Hemofarm Stada Vrsac and Khimki Moscow Region to lift its second trophy. It has been a decade since Rytas won the 2009 EuroCup title in Turin, Italy. 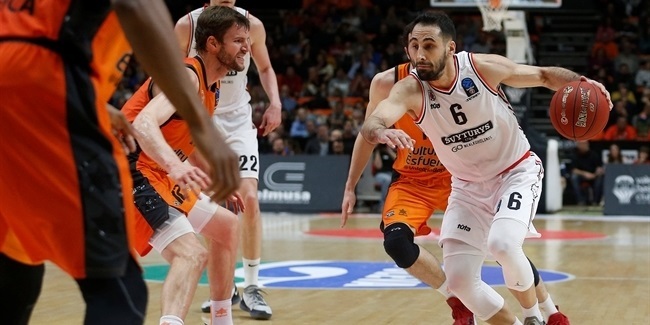 The club faces an old rival, Valencia, and the playoffs series will be exciting, full of EuroCup tradition. So far, there are good vibrations all over the place, as Parakhouski said after the game. "We are going to go step by step. This team is special. I am enjoying every second I am here."